Heading into 2018, Punxsutawney softball was thought to be an interesting case study. 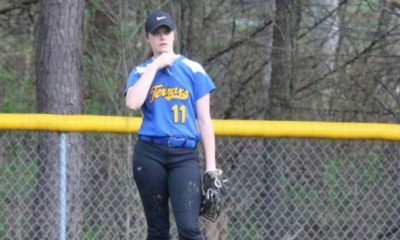 The Lady Chucks obviously had one of the best pitchers in the commonwealth in senior Kylee Lingenfelter, who had committed to Penn State as only a sophomore and had helped Punxsutawney to three straight District 9 titles (two in 3A and one in 4A). But at the same time, Punxsutawney had struggled to get any traction at all going in the PIAA playoffs running into WPIAL teams in the first round and going home after one round. The Lady Chucks hadn’t been out of the PIAA first round since 2009. Add that to the fact Punxsy had to replace six starters from the 2017 team, and while a D9 title looked like a strong possibility, a PIAA title was only a dream. 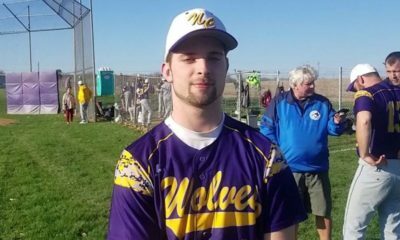 But then something happened, the young players blossomed and all of a sudden Punxsutawney had an offense to match Lingenfelter’s pitching prowess. An 8-0 win over WPIAL runner-up Elizabeth Forward in the opening round of the PIAA playoffs – Holly Hartman hit a home run and drove in five – gave the Lady Chucks the confidence that 2018 was going to be different. When Punxsutawney followed up the win over EF with an 8-0 victory over West Perry, things seemed like they might be falling into place. 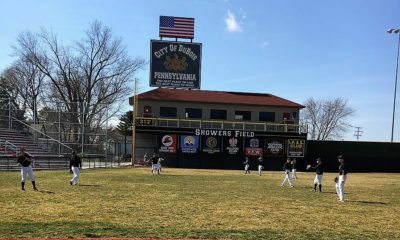 On a cold, wet day at St. Francis University the two heavyweight teams found themselves in a zero-zero battle with two outs in the bottom of the third inning when Lingenfelter played hero with the bat breaking the scoreless tie with an 0-2 home run. Freshman Sarah Weaver followed with another home run to make it 2-0 Punxsutawney, and all of a sudden things started to look real. When Punxsutawney went up 3-0, you almost got the feeling the game was over with Lingenfelter in the circle. And while the senior gave up the only run she allowed all postseason in the sixth, she was able to close out the 3-1 win in the seventh sending the Lady Chucks to the PIAA title game for the first time since 2006. In the championship contest, Punxsutawney met District 11 champion Bethlehem Catholic. The Hawks entered the game hitting over .400 in the postseason, but Lingenfelter silenced their bats limiting Beth Catholic to just four hits – three couldn’t have broken glass – while recording 15 strikeouts. 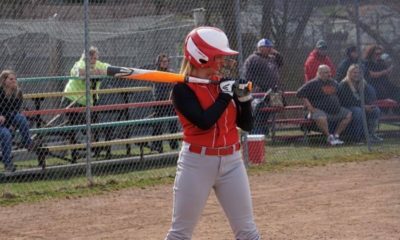 And again, Lingenfelter brought her bat to play with her RBI double scoring freshman Riley Presloid with the game’s first run before she scored on a single by sophomore Madison Stonbracker. Lingenfelter then worked around a two-on, no-out jam in the top of the seventh striking out the final hitter she faced on three pitches to bring Punxsutawney its first-ever PIAA title in softball.